Definition - What does Sugarcane Pose mean? 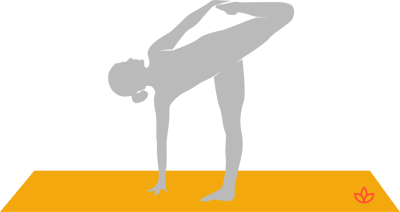 Sugarcane pose is a standing backbend asana that is a variation of half moon pose. It opens up the chest and shoulders, while helping to increase core strength and balance at the same time. To enter this pose, begin in uttanasana (standing forward bend). Bring the right hand to the floor directly under the right shoulder and in front of the right foot. Place the left hand on the left hip. Stacking the hips, bend the left knee grasping the left ankle with the left hand. Open the front of the body, bringing the spine into a backbend. The head turns to look up, with the drishti (gaze) toward the sky. The key to maintaining stability in this pose is to move slowly and with awareness. Hold the pose for three to five breaths then repeat on the opposite side. The Sanskrit name for this pose is ardha chandra chapasana. Like many balancing asanas, sugarcane pose can be challenging as it requires increased focus. Since sugarcane pose has the added support of a hand on the floor, it makes it a particulartly good asana to explore letting go of personal expectations and bringing more sukha (sweetness) and less shtira (striving) into the practice.